Export anxiety: Where will pipeline’s natural gas wind up? 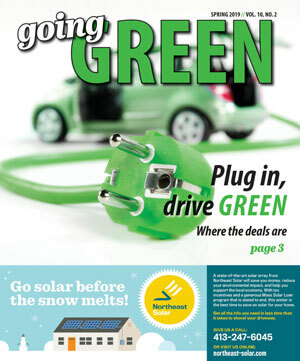 Home » News » Export anxiety: Where will pipeline’s natural gas wind up? By mid-year, the United States is expected to become a net exporter of natural gas because of the expected rapid growth of the nation’s industry that exports liquefied natural gas (LNG), along with a boost in Mexican pipeline capacity and reduced domestic demand for Canadian gas, according to analysts with Barclays Commodities Research. The report, from a year ago, called it “a shift of tectonic magnitude,” with far-reaching implications for the national economy, geopolitics and natural gas markets. 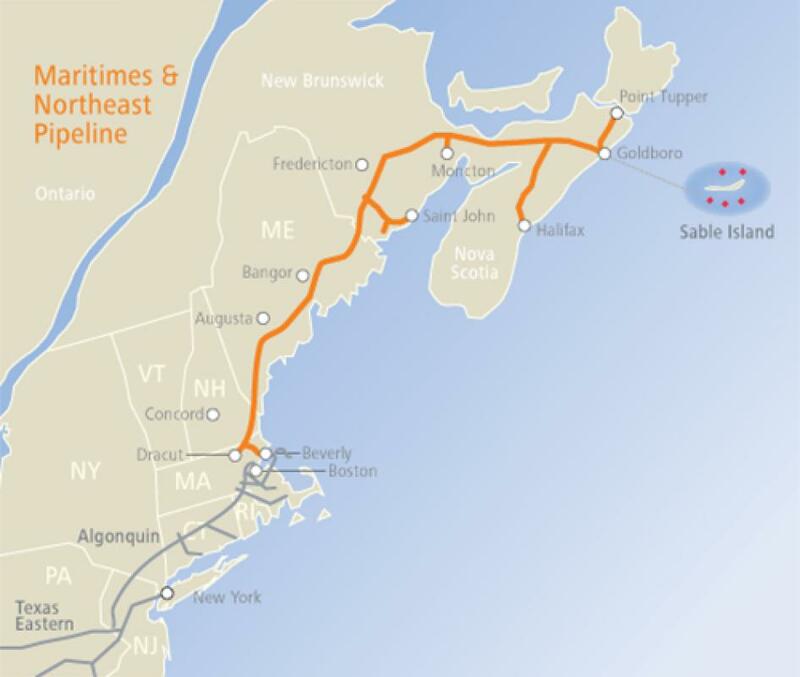 The Maritimes and Northeast pipeline, with more than 75 percent ownership by Spectra, is planned to have its flow reversed, in the wake of declining imports of foreign LNG with gasification flow to U.S. markets and the growing potential for Marcellus shale gas to be exported abroad. The M & N pipeline, built in 1999 to carry 800 million cubic feet of gas a day from drilling rigs off the Nova Scotia coast through Maine into southern New England, has been carrying less than half of that in recent years. In a recent filing to FERC, the Franklin Regional Council of Governments, which has taken no position on NED, nonetheless joined other prospective intervenors to question the need for the pipeline. The COG’s letter to FERC points out that UIL Holdings, which owns Berkshire Gas Co., is a priority subscriber for the project, but that as an affiliate of NED, it’s not considered to demonstrate need as much as unaffiliated, arms-length contracts. “In addition,there are no firm commitments from gas-fired electric generators for the market path component even after the most recent ‘Power Serve’ open season that closed on Oct. 29, 2015” for electric generators. ∎ Pieridae Energy, which would process up to 292 billion cubic feet of natural gas per year for export from Goldboro, Nova Scotia. Its application before the U.S. Department of Energy’s Office of Fossil Energy, (DOE 14-179-LNG) specifically mentions the M&N Pipeline for supply of natural gas. ∎ Downeast LNG is seeking to liquefy up to 168 Bcf per year from Robbinson, Maine, on the western shore of Passamaquoddy Bay. ∎ H-Energy, an Indian company, is looking at developing an LNG terminal in Melford, Nova Scotia. A Pieridae Energy spokeswoman confirmed Tuesday that her company, which has received Canadian approval to import natural gas from this country and approval from the U.S. Department of Energy to export LNG to free-trade agreement countries — with non-FTA exports still pending approval — has no plans to reveal who it is contracting to buy its feedstock natural gas from. Yet DeVito points to language in both the Bear Head LNG and Pieridae LNG export projects — both of whose license applications NEES is intervening in — as mentioning “proposed Northeast pipelines” as supplying their gas. Planned export of natural gas — production of which has been booming because of controversial Marcellus shale hydrofracking — could short-circuit the lower energy prices that are the chief stated rationale for building NED and other natural gas pipelines in the Northeast, argue opponents of those projects, as the relatively low price rises because of international demand and infrastructure like the $5.2 billion NED are factored in. The overall costs to the U.S. economy could even be higher, Industrial Energy Consumers of America President Paul N. Cicio testified before the Senate Committee on Energy and Natural Resources. “Energy policy should maximize ‘permanent’ long-term job creation for the U.S. economy, not just the oil and gas industry,” Cicio said, arguing that the anticipated hike in natural gas prices in this country and the drop in prices in Asia as a result of planned increase of LNG exports — as projected could cost thousands of U.S. manufacturing jobs. “Using natural gas in the manufacturing sector will increase eight times more permanent jobs than exporting it. The top seven LNG export applications combined will only create 1,890 permanent jobs. Increasing natural gas prices to parity with global LNG prices long-term removes the U.S. economic advantage,” he said. Cicio cites the DOE study on exports as saying 20 billion cubic feet a day could be exported by 2025, raising the gas price here by 15 cents per million BTUs while cutting Asia’s MBTU price 73 cents — a combined 88-cent loss in terms of competition with Asian manufacturers, translating to a 40 percent hike in costs. The proposed Trans-Pacific Partnership agreement, Cicio fears, would give automatic free-trade status to China and Japan, which is now the world’s largest importer of natural gas. Good article! It is troubling that the US Government (FERC, DOE, State)and easily allowing considerable LNG export and giving away our competitive advantage of low gas prices. FERC requested public comments on a proposed rule that would better align gas pipeline transportation scheduling practices of the natural gas and electricity industries, so that more pipeline capacity could be available for electricity generators that rely upon natural gas.